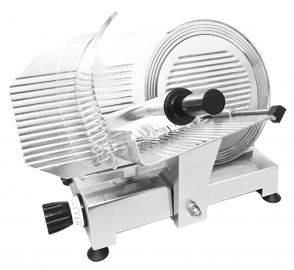 An appliance for cutting/slicing fruit and vegetables in various shapes and sizes, grating cheese, dry bread, chocolate, nuts; shredding carrots, celery, potatoes, apples, turnips, beetroots and Mozzarella. 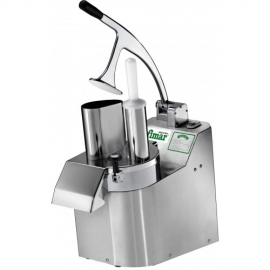 VEGETABLE CUTTER 2000R “La Romagnola”: “La Romagnola”, the TV2000 vegetable slicer successfully sold world-wide for over 20 years, has been restyled. 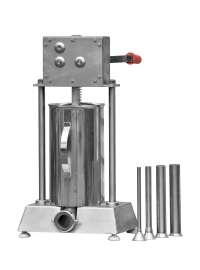 AISI 304 stainless steel removable body and inlet - safety micro switch on the handle and inlet - dual product loading inlet. Accessories: cutting discs of various types. 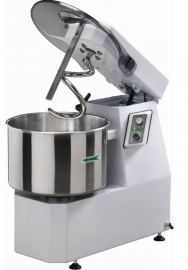 Machine that produces different types of dough, especially indicated for soft dough such as bread and pizza. 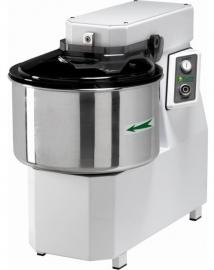 Structure lined with scratch-proof paint - parts in contact with food (basin, spiral and kneader rod) made of stainless steel - safety micro switch on basin lid - standard smoked polycarbonate lid on models 12-18-25-38. 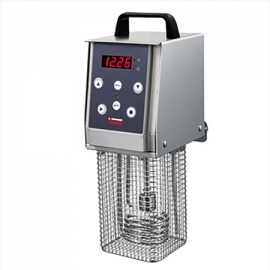 Models 7 and 50 are only available with stainless steel mesh lid. 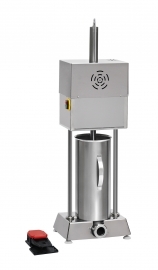 CNS and FN versions have a lifting top and the basin is only removable on the CNS version. Optional: 2 speeds (excluding mod. 7), mechanical or digital timer (excluding mod. 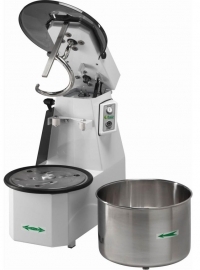 7 and 50), motor overload protection, grated cover in stainless steel only for models 12-18-25-38, wheel and low trolley with wheel kit, pot extraction handle (only for mod. CNS). 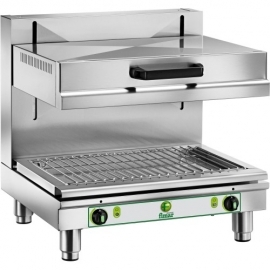 Stainless steel structure - removable chrome grill and drip drawer - power adjustment thermostats - adjustable grill position. 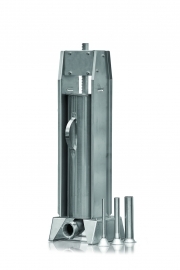 Model SAL600MB has a mobile headstock.